Dr. Lincoln is Deputy Director and Director of Research and Collections at the National Maritime Museum in London. In her latest study of the early eighteenth century, she examines how contemporaries of pirates viewed them. The period resources from which she draws this wealth of information encompass literature, official papers, ballads, newspapers, periodicals, and manuscripts. She does stress that “this is not first and foremost an attempt to distinguish fact from fiction, but rather an investigation of how the phenomenon of piracy illuminates aspects of contemporary culture.” (3) The one omission from piracy of this period concerns the Barbary corsairs, because their piracy differed from western piracy and was often state-sanctioned on religious grounds. “Punishing Miscreants: Pirates and the Metropolis” examines the impact trials of pirates had on society and how such events were portrayed in chapbooks, broadsides, ballads, newspapers, and court proceedings. This is a particularly absorbing account of the judicial system, especially the prisons and life within them. 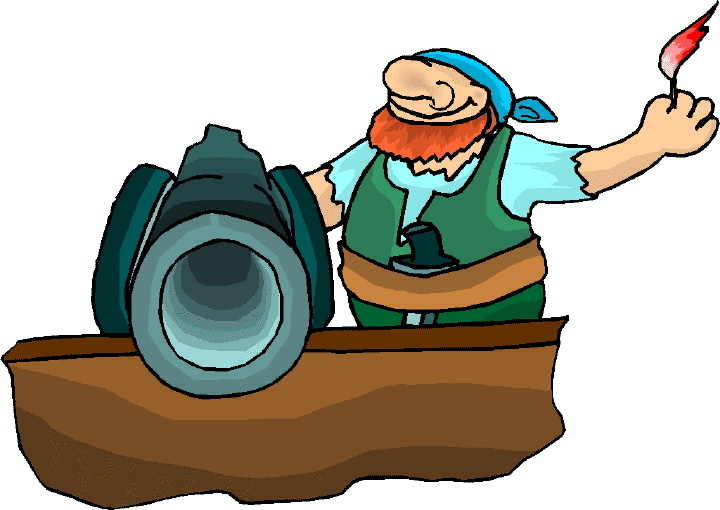 In the third chapter, Lincoln looks at pirates and the law. One case pertains to Captain Thomas Green and two of his crew, who were hanged in Scotland for piracy, robbery, and murder, even though they were innocent of the charges. Chapter 4, “A Growing Evil,” discusses the changing attitudes of merchants (and others involved in commerce) toward piracy, as well as the dangers seamen faced at sea. The steps the British government and others, especially the East India Company, took to protect trade are also covered. 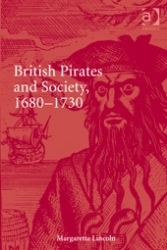 The following chapter focuses on how people of the middle and upper classes viewed pirates, because those who wrote and read about pirates came from these sectors of society. An interesting point that Lincoln makes in this chapter concerns the difference in dress between male pirates (not lower class) and females (lower class dress). For pirates who preyed on shipping in the Indian Ocean and for Caribbean pirates who needed a second venue when things became too hot for them in that region, Madagascar was a favorite haunt. “A Nest of Vermin,” chapter six, examines how people of the 1700s viewed and portrayed this exotic island. While most contemporary narratives make short shrift or don’t even mention pirates’ wives, children, parents, and friends, these people did exist, and this is the focus of the seventh chapter. Lincoln also looks at how pirates were used to debate gender perspectives about marriage and their portrayal in romance literature of this period. While she is usually careful in how she phrases information that may or may not be historically accurate, this isn’t true when she discusses Anne Bonny after her stay of execution because of her pregnancy. Here, Lincoln states, “Anne’s father secured her release, and after eight more children by a respectable husband, she died in South Carolina, aged 84.” (188) This theory is one possible explanation of what became of Anne, but it has never been proven beyond a reasonable doubt. In the final chapter, “Stand and Deliver,” the author explores the heritage of these pirates and how their depredations differ from those of modern-day piracy. Black-and-white illustrations and a center set of color plates accompany the narrative. Footnotes are found in all chapters, while an extensive bibliography and detailed index are included at the end of the book. Rather than focusing on a particular aspect of the society, Lincoln describes perspectives from a variety of classes, those who associated with the pirates in some fashion and others that wished them eradicated. Her choice of covering the most prolific period in pirate history deftly demonstrates how popular opinions and attitudes concerning these rogues changed with the passing of time. This compelling and significant study also allows readers to view contemporary perspectives from many arenas, rather than simply focusing on the legal or commercial aspects. Highly recommended. 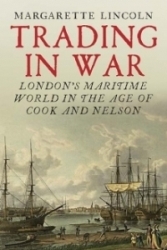 Trading in War begins with a walking tour through Deptford, Wapping, Shadwell, and other mid-eighteenth-century London districts situated along the Thames River. The pubs and ale-houses people frequented, the churches where they worshipped, and the types of housing where they lived are described in great detail. So, too, are the crowds of ships on the river and the various businesses concerned with building, repairing, and servicing those vessels. Before the American colonies revolted, the East India Company utilized most of the warehouses and vendors aligned with the shipbuilding industry. Voyages of exploration, beginning with the first of Cook’s Pacific journeys in 1768, were all fitted out at Deptford Yard. Innovations and experimentation were ongoing in the effort to make ships last longer and improve sailors’ diet and health. At the same time this quest for more scientific methods began to impact the shipwrights and other workers in the yards. These “reforms” meant more work for less pay and benefits, which were resisted by yard workers, but supported by their communities and radical politicians. Strikes and protests became frequent occurrences, especially during the wars with America and France when the shipwrights’ services were needed the most. Efforts to recruit men as soldiers and sailors included capturing and forcing men into the militia and Royal Navy. These often led to disturbances and even violent confrontations throughout the maritime districts. Sailors went into hiding during a “heavy press” and the river was clogged with fully-loaded ships that lacked crews to sail them. Amazingly, in 1795, Frances Barnard took over the private shipyard her late husband had established in Deptford. She continued to be awarded contracts by the Navy Board and several merchants. The history of shipping on the Thames always included problems with goods being smuggled ashore to avoid tariffs and thefts from cargoes still on ships, while being transported ashore, or from the warehouses where the goods were stored. Congestion on the river was another difficulty faced by the shippers and mercantile companies. By the time of the war against the French Revolution, there was a push to build enclosed “wet docks” where ships could quickly be unloaded directly onto the docks instead of “lightered” into boats first. The dock complex would have many berths, freeing places on the river where the increasing number of vessels calling on London could anchor. Tariffs on goods were replaced by fees charged to the dock companies and recouped by berthing fees. Each complex required large tracts of land that completely disrupted the affected communities. Local businesses were impacted by the decline of the population as housing and other structures were torn down where the docks would be built. Many “lightermen” who transported goods from ship to shore were no longer needed and cheaper labor could be used to unload ships at the docks. The West India Dock was opened in 1802 and others would follow in a constant upheaval of the maritime districts. In presenting the information in this book, the author uses a variety of contemporary sources that are carefully indicated in the notes after the text. A wonderful sixteen-page inset of color paintings and maps illustrate the text. Many references and books for further reading are listed in the bibliography, which is followed by an extensive index. My only criticism pertains to the main title. “Trading in War,” by itself, gives the impression that the effects on trade during the wars are covered. I had hoped to read about depredations by privateers, increases in insurance rates, and the need for ships to be convoyed for protection. If these three words were eliminated from the title, this omission would not mislead the reader. At the same time, the book jacket clearly indicates what the subject matter actually is and only those of us who often skip this information are led astray. This is an excellent portrayal of the districts along the Thames and the many ways they formed the backbone of London’s establishment and growth as a world port. Many topics are covered, but the use of various individuals’ stories makes it easy to understand and remember them. Anyone interested in a glimpse waterfront life during these war years, the development of London and the Port of London, and those wanting to know more about shipbuilding or the Royal Navy will all be happy they read this wonderful book.